Abiotic stress leads to change in the expression and activities of number of proteins which are involved in defense mechanism against stresses. Qualitative and quantitative changes in proteins might play a role in signal transduction, antioxidative defence, heat shock, metal binding or osmolyte synthesis. Here, 22 wheat genotypes were screened for its cell membrane stability (CMS), out of which C-306 showed the maximum CMS value of 74%. Protein profiling revealed the expression of many new and existing proteins in C-306 cultivar compared to PBW343 under differential heat shock (HS). An altered protein expression was also observed in tolerant and susceptible cultivars at different stages of growth. Isoenzymic profiling revealed the expression of many new isoenzymes of ascorbate peroxidase and superoxide dismutase in C-306 compared to PBW343 in response to heat shock. A stage specific analysis showed the maximum activity of different antioxidant isoenzymes at pollination and seed hardening stages. SODs plays central role in regulating defense mechanism and need to be further characterized. Antioxidant Enzymes, Heat Shock Protein, Heat Stress, Isoenzymes, Protein Profiling. Agarwal, G.K., Rakwal, R., Yonekura, M. and Saji, H. (2002) Proteome analysis of differentially displayed proteins as a tool for investigating ozone stress in rice (Oryza sativa L.) seedlings. Proteomics 2: 947–959. Asada, K. (1992) Ascorbate peroxidase- a hydrogen peroxide-scavenging enzyme in plants. Physiologia Plantarum 85:235-241. Asada, K. (2006) Production and scavenging of reactive oxygen species in chloroplasts and their functions. Plant Physiol. 141: 391-396. Ashraf, M., Saeed, M.M. and Qureshi, M.J. (1994) Tolerance to high temperature in cotton (Gossypium hirsutum L.) at initial growth stages. Environmental Experimental Botany 34:275-283. Blum, A., Klueva, N. and Nguyen, H.T. (2001) Wheat cellular thermotolerance is related to yield under heat stress. Euphytica 117: 117–123. Bowler, C., Montagu, M.V. and Inze, D. (1992) Superoxide dismutase and stress tolerance. Annual Review of Plant Physiology Plant Molecular Biology 43: 83-116. Browse, J. and Somerville, C.R. (1991) Glycerolipid syntliesis: biochemistry and regulation. Annual Review of Plant Physiology Plant Mo1ecular Biology 42:467-506. Chen, T.H.H., Shen, Z.Y. and Lee, P.H. (1982) Adaptability of crop plants to high temperature stress. Crop Science 22: 719–725. Fokar, M., Blum, A. and Nguyen, H.T. (1998) Heat tolerance in spring wheat. II. Grain filling. Euphytica 104:9–15. Hajheidari, M., Abdollahian-Noghabi, M. and Askari, H. (2005). Proteome analysis of sugar beet leaves under drought stress. Proteomics 5: 950–60. Iba, K. (2002) Acclimative response to temperature stress in higher plants:approaches of gene engineering for temperature tolerance. Annual Review Plant Biology 53:225-245. Ishikawa, T., Yoshimura, K., Sakai, K., Tamoi, M., Takeda, T., Shigeoka, S. (1998) Molecular characterization and physiological roleof a glyoxysome bound ascorbate peroxidase from spinach. Plant and Cell Physiology 39:23–34. Ismail, A.M. and Hall, A.E., Close, T.J. (1999) Purification and partial characterization of a dehydrin, involved in chilling tolerance during seedling emergence of Cowpea. Plant Physiology 120:237–244. Kumar, M.S., Kumar, G., Srikanthbabu, V. andUdayakumar, M. (2007) Assessment of variability in acquired thermo tolerance: Potential option to study genotypic response and the relevance of stress genes. J. Plant Physiol. 164:111-125. Laemmli, U.K. (1970) Cleavage of structural proteins during the assembly of the head of bacteriophage. Nature 227: 680-685. Maestri, E., Klueva, N., Perrotta, C., Gulli, M., Nguyen, H.T. and Marmiroli, N. (2002) Molecular genetics of heat tolerance and heat shock proteins in cereals. Plant Molecular Biology 48: 667–681. Marcum, K.B. (1998) Cell membrane thermostability and whole plant heat tolerance of Kentucky bluegrass. Crop Science 38:1214-1218. Mittler, R. and Zilinskas, B.A. (1991) Molecular cloning and nucleotide sequence analysis of a cDNA encoding pea cytosolic ascorbate peroxidase. FEBS Lett 289:257-259. Nam, M.H., Heo, E.J., Kim, J.Y., Kim, S.I.I., Kwon, K-H. and Seo, J.B. (2003) Proteome analysis of the responses of Panax ginseng leaves to high light: use of electrospray ionozation quadrapole - time of flight mass spectrometry and expressed sequence tag data. Proteomics 3:2351-67. Rakwal, R. and Komatsu, S. (2004) Abscisic acid promoted changes in the protein profiles of rice seedling by proteome analysis.Molecular Biology Report 31: 217-30. Requejo, R. and Tena, M. (2005) Proteome analysis of maize roots reveals that oxidative stress is a main contributory factor to plant arsenic toxicity. Phytochemistry 66:1519-28. Roychaudhari G, Sarath M, Zeece and Markwell J (2003) Reversible denaturation of soyabean kunitz trypsin inhibitor. Archives of Biochemistry and Biophysics 412, 20-26. Saadalla, M.M., Shanahan, J.F. and Quick, J.S. 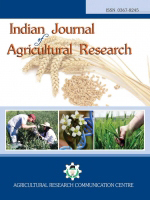 (1990) Heat tolerance in winter wheat: I. Hardening and genetic effects on membrane thermostability. Crop Science 30:1243–1247. Sangwan, V., Orvar, B.L., Beyerly, J., Hirt, H. and Dhindsa, R.S. (2002) Opposite changes in membrane fluidity mimic cold and heat stress activation of distinct plant MAP kinase pathways. Plant Journal 31:629–638. Sarry, J-E., Kuhn, L., Lay, P.L., Garin, J. and Bourguignon, J. (2006) Dynamics of Arabidopsis thaliana soluble proteome in response to different nutrient culture conditions. Electrophoresis 27:495–507. Savchenko, G.E., Klyuchareva, E.A., Abrabchik, L.M. and Serdyuchenko, E.V. (2002) Effect of periodic heat shock on the membrane system of etioplasts. Russian Journal of Plant Physiol. 49:349–359. Sule, A., Vanrobaeys, F., Hajos, G.Y., Van Beeumen, J. and Devreese, B. (2004) Proteomic analysis of small heat shock protein isoforms in barley shoots. Phytochemistry 65:18 53–63. Wahid, A., Shabbir, A. (2005) Induction of heat stress tolerance in barley seedlings by pre-sowing seed treatment with glycinebetaine. Plant Growth Regulation 46:133–141. Wahid, A. and Gelani, S., Ashraf, M., Foolad, M.R. (2007) Heat tolerance in plants: An overview. Environmental and Experimental Botany 61:199–223. Yan, X., Chenyang, Z. and Bingru, H. (2011) Heat Shock Proteins in Association with Heat Tolerance in Grasses. International J. Proteomics, doi:10.1155/2011/529648. Yoshimura, K., Yabata, Y., Tomoi, M., Ishikawa, I. and Shigoeka, S. (1999) Alternatively spliced mRNA variants of chloroplast ascorbate peroxidase isoenzymes in spinach leaves. Biochemistry Journal 338:41–48.